"Envisio is amazingly intuitive, straight forward and fit perfectly with our strategic plan template"
Envisio allowed us to do an easy and quick transition to automated planning software by replicating our existing template. The Envisio team is incredibly responsive, flexible and innovative at coming up with solutions for customizing the software for your needs. At the inputting stage, due to the sheer number of users and departments, it was complicated to get all the plans into the system, but we managed it by doing cohorts of users inputting at different times,. Transparency of departmental business plans, tool to assist users to communicate strategy and actions,, ability to delineate the contribution of goals and objectives when rolled up to the organization strategy. Ability to easily pull customized reports to track progress, people capacity planning. "A way to track everything for local governments"
I love the fact that Envisio helps us track and maintain a record of our work towards meeting the strategic objectives of the Commission. Since starting Envisio, I have been able to ditch the spreadsheets and hold staff accountable to providing timely updates. It provides form to our work and gives us a great way to track data on KPIs. I also love that is a great space to set up annual action steps and allows staff to easily participate in the development with staff. I love that it is cloud based and allows us to work anywhere at anytime. The biggest dislike I had is not coming around with Envisio. Their new module allows for more robust storage of data to use with our strategic objectives to share a story about how we are moving on the work. As this come online, we will be much more prepared to set actions steps in following years that are based on data driven decisions. Planning, tracking and management of strategic plans. There is a one stop shop to understand what is happening in a large organization and an accountability mechanism. 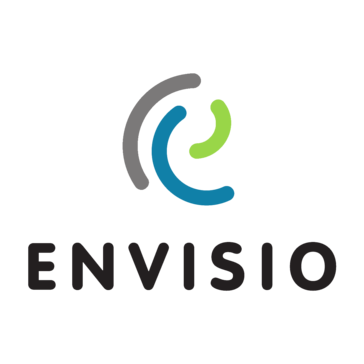 "Excellent strategic plan management and accountability tool for organizations"
Envisio does an excellent job of requesting updates from users and grounding folks in the organization's mission and plan. The tool is forward-leaning, pulling for an update, and is easy and simple to use for all users. We have a high rate of adoption and satisfaction from our staff. The challenge with Envisio is not with Envisio, but with your staff. They may resist providing updates on their work on a monthly basis. You'll have to require them to do that, and they'll find Envisio makes the process easier. Buy into the process! Envisio works, trust it! We have aligned our leadership around the values and actions of our plan. We discovered that many leaders were not clear on their priorities and Enviso provided a context within which we could address that. "Envisio helps us tell our story"
Envisio has given us a format to tell the story of our city's strategic plan to the City Council and our residents. We had a wonderful customer service rep and she is no longer with the company. We are working to build a relationship with our new rep, but she doesn't have the history with us so it is taking time. Start slow and realize that it is a process. As you learn more about strategic planning and performance measurement you will need to modify your plan. We are using Envisio to track the progress on our strategic plan. Having a platform for reporting has been awesome. It also helps our staff to be aware of what is happening in other departments. "The more time you spend on it, the more you get"
Helps keep our vision and strategic plan front and center of all of our activities and clearly shows how the various goals are going to be reached and their current status in line with all projects and areas the school is working on. The functionality of the reporting tools are easy to work with and provides the necessary information we needed - when we need it. The customer service and support is phenomenal . Our account manager from Envisio is beyond responsive, he is pro-active and provides insight that has moved us very far forward in a very short period of time. The Envisio team is inn general very responsive to the needs of the clients and providing a user experience that is easy, functional and effective. If there are gaps in the software you are currently using, Envisio is a great tool orate taking advantage of. You will get what you put in. Our account manager from Envisio is beyond responsive, he is pro-active and provides insight that has moved us very far forward in a very short period of time. The Envisio team is inn general very responsive to the needs of the clients and providing a user experience that is easy, functional and effective. "Envisio is a helpful strategic planning and tracking software." That Envisio provides a one-stop shop for tracking strategic plan elements and action steps, communicating on the steps, reporting for Commission, and sharing information. Envisio occasionally experiences glitches in the software that can be frustrating and annoying, but are usually easy to work around. We sometimes wish that there were more complex capabilities and flexibility as well. Envisio is still somewhat limited as it continues to grow, but they are constantly taking feedback and making improvements. They are very good at communicating and customer service. We use Envisio to set goals and track progress on our Strategic Plan. We realized we can also use the software, although somewhat limited, for department-specific Strategic Plans. We like the interface, yet customizable enough for us to have it match our structure. Flexible reporting and support has been very good. Not much to dislike. We compared with other options and, for the money, this was our pick. Get a demo. Take it for a test drive. Talk to some other users. Use to keep track are the department and division level, yet report at the executive and board level. Good combination. "Envisio helps us to stay focused on the key projects of strategic importance to the Board." Envisio is very easy to use. It's graphically pleasing and intuitive. There isn't anything we dislike so far. Envisio has kept up with enhancements to make the product even more useful to track our strategic plan. The FVRD provides over 100 distinct services to the community. Reporting on our progress to our 23-member Board of Directors is challenging at the best of times. With Envisio we are able to sharpen our focus on the key priorities that matter most to them. "Experience with Envisio with JTA"
At times there were issues where I couldn't get the graphics and shortcuts set up properly. Yes I would say that our trials proved well. It helped me report out ridership issues for compliments and complaints with JTA. * We monitor all Envisio reviews to prevent fraudulent reviews and keep review quality high. We do not post reviews by company employees or direct competitors. Validated reviews require the user to submit a screenshot of the product containing their user ID, in order to verify a user is an actual user of the product. Hi there! Are you looking to implement a solution like Envisio?